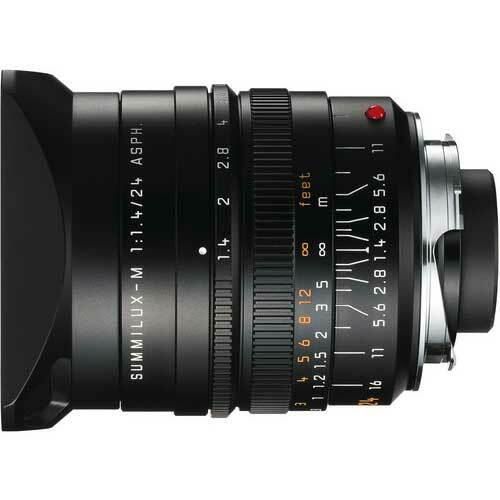 Lens Description: The very high-speed and compact Leica Summilux-M 24 mm f/1.4 ASPH. gives photo- journalists a new tool for their work. The lens is ideal for available light photography. Like the 21mm f/1.4, it consists of ten lenses in eight groups. 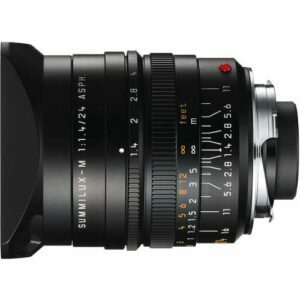 Until the advent of state-of-the-art blank-press methods for aspherical lenses, it was not possible to create these new Summilux-M lenses. Hand assembled in Solms Germany, this meticulous craftsmanship also ensures long term reliability even in challenging conditions. The correction of colour imperfections requires great deal of effort. 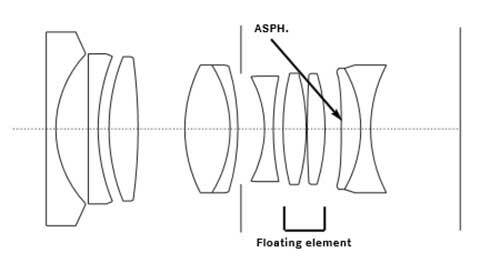 and to that end this 24mm lens incorporates five separate lenses with anomalous partial dispersion. 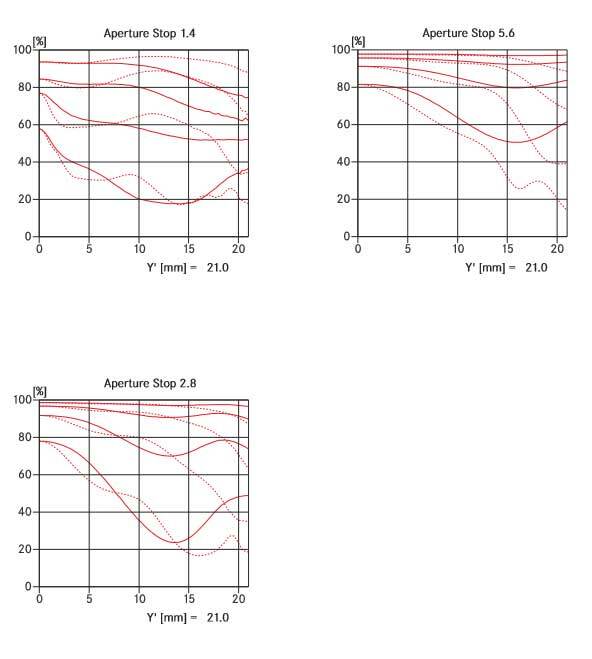 As a result, vignetting and distortion, the parameters traditionally difficult to control in fast wide-angle lenses, are corrected so well that they are hardly noticeable in practice. Even at an f-stop of 2.8, in effect, only natural vignetting is present. Patented rectangular lens hoods fit Series VII filters.